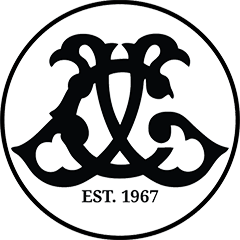 Please use the search bar at the bottom of this page to lookup your guitar's manufacture date. If you would like specs on your guitar please view our Product pages by looking up your model number. 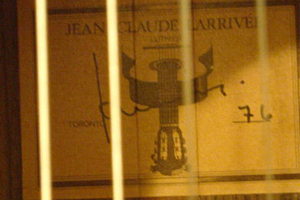 Up to 1977 there was just a label inside the guitar with the last two digits of the year in the bottom right hand corner (see example on the right). 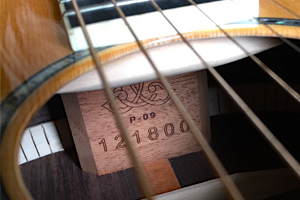 Your guitar's serial number is found inside the sound hole and up sharply towards the neck block (see example on the right). First generation 03 Series serial numbers may also be ink stamped on a white label. If your serial number has 2 lines of numbers please enter only the bottom row to the lookup form below. The first line of numbers is your model number. In the event you are presented with multiple dates your serial number may be a duplicate. Please use model number to identify your date. *Do not enter the first digit if it starts with a 0. *Any issues using the search bar below, let us know here.